Blog Ever tried Philippino Karaoke? 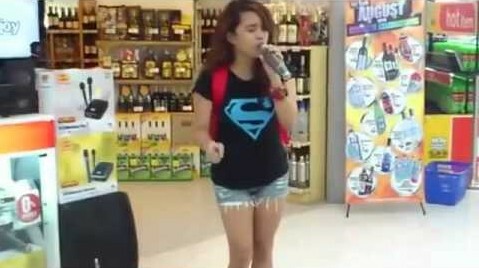 Every pinoy child knows how to sing (not always in a skillful way). Lets’s proceed directly to the history of karaoke. The word “karaoke” is derived from two Japanese words: “Kara” – empty and “Oke” – orchestra. Karaoke came into existence in 1970 in Japan. One day a couple of Japanese businessmen asked one famous nightclub musician Daisuke Inoue to record his songs, so that they could always listen to them, and even sing along. But singing along with the singer businessmen soon got tired and they asked the musician to rewrite his songs, but without vocals. After giving it some thought, Inoue realized that it would be a great idea for your own business. And later he came up with the first in history karaoke machine. This device was a modified audio tape recorder, it played music after a person would drop a coin of 100 yen into the machine. Daisuke Inoue did not even sell these records of the songs. Although the cost of using the first karaoke unit was quite impressive, this game was becoming more and more popular.